Wagga trainer Chris Heywood continued his good form with another winner at Albury on Monday. After a hat-trick at Parkes, including a win in the cup with, Class Clown, Red Medusa brought up her first victory. Mathew Cahill was at the helm as the filly broke through at start five, taking out the Kiewa Valley Springwater Maiden Hcp (1175m) by a length. 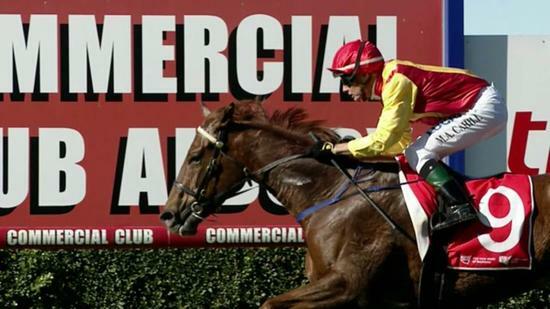 Meanwhile a Holbrook trainer’s only horse in work claimed the Benchmark 65 (1600m). Rod Weston’s My Kind ($26) edged out Wodonga trainer Liz Aalbers’ Smooth Danish ($4.40) and Little Jatz ($26). It was the four-year-old’s third career win, but first since linking with Weston in February. “I saw him on the gallopers on the internet, (and thought) I reckon that horse is good enough to win here,” he said. “He paid for himself today (Monday), put it like that.